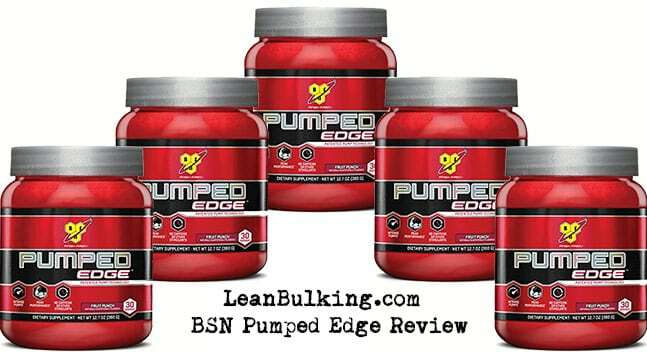 Pumped Edge is a pre-workout marketed by well-known supplements company, BSN. It comes in 30 serving containers, with a serving size of 12g. This is BSN's latest pre-workout supplement (2017) - which has been "engineered for extreme muscle pumps". The main thing to note about this product, is that it's stimulant free. The company behind this pre-workout, BSN, are no strangers to the supplements industry. They've been around since 2001, and have endorsed some big names - such as Conor McGregor and Flex Lewis. BSN has a great reputation, marketing a range of supplements from protein powders to pre-workouts - their 'NO-Xplode' pre-workout was a huge success. But can Pumped Edge beat its precursor? If you don't know 90% of the ingredients inside Pumped Edge - you've come to the right place, as we've analyzed each ingredient for you. A proprietary blend is a mixture of numerous ingredients - shown to you as one quantity (in this case, its 3g). This causes a few problems, as you don't know the exact dose of each ingredient in these blends; simply put, you don't know how effective they are, or if they'll cause any side effects -which is why it's important to know exactly what you're putting into your body. Basically, companies often use proprietary blends to hide ineffective dosages - so you don't know you're getting bad value for money. 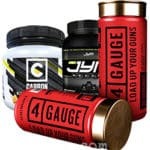 This allows them to keep the price of their supplement high, while cutting costs to make more profit (making proprietary blends one of the biggest gimmicks in the industry). Anyway, we'll explain the most important ingredients in this pre-workout - to show you exactly how effective Pumped Edge is. This nutrient raises your nitric oxide levels by turning into L-Arginine in your kidneys, after oral supplementation. It's better than taking L-Arginine directly. Why? Answer: Because L-Arginine has a poor absorption rate - meaning it's ineffective when orally supplemented. However, L-Citrulline's only beneficial when consumed in 6,000mg-8,000mg doses. As you can see, it's impossible for there to be an effective dose of L-Citrulline in Pumped Edge - as this whole blend only adds up to 3,000mg (3g). BSN Should've left L-Arginine out, and increased the dose of L-Citrulline to 6,000mg. Also known as Chinese Hawthorn, it's a berry used in traditional Chinese medicine to boost heart health. But there's been no human studies conducted to prove that it delivers this benefit. Anyway, heart health isn't a key feature of a pre-workout supplement. It doesn't offer improvements in strength, endurance, muscle pumps, or energy - so Hawthorn Extract is a useless ingredient in Pumped Edge. This herb has been used in traditional Chinese medicine - it's incorrectly believed to increase lifespan. Studies have shown that it won't make you immortal, but it'll benefit general health. But a boost in general health isn't a key feature of a pre-workout supplement - basically, it's useless in Pumped Edge. Everyone knows what this is, as it's used to make food taste better worldwide, on a daily basis. But you probably didn't know this - it improves the absorption rate of other ingredients it's consumed with. Basically, Black Pepper Extract can boost the overall effectiveness of a product. But it's not a miracle worker - it's only really beneficial if the other ingredients are actually useful. Unfortunately, it won't make an ineffective ingredient suddenly beneficial. 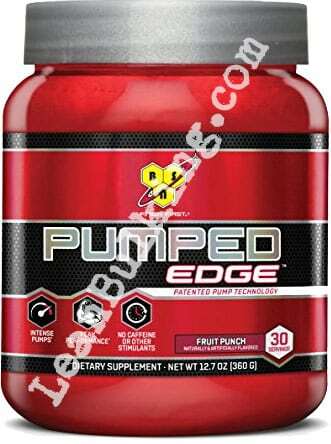 As there's not any key ingredients in optimal doses in Pumped Edge - it won't have much of an effect here. Black Pepper Extract is more of a bonus, than a key ingredient itself. This is the second proprietary blend in Pumped Edge. As we've mentioned, a proprietary blend is a mix of numerous ingredients that are shown under one quantity (this blend is 3.7g). You'll never know the exact dose of each ingredient in this 'Muscle Support Matrix' blend - this is worrying if you're sensitive to any inside. It contains 3 forms of Creatine, but the only one proven to be effective is Creatine Monohydrate. This is bad - this blend could be filled with the other two forms, making it unreliable. Simpy put, BSN should've just added Creatine Monohydrate on it's own, without it being in a proprietary blend. Creatine Monohydrate's shown to improve your strength and endurance in the gym, but the other forms (such as Hydrochloride) aren't proven to work. One good thing about Pumped Edge is that not many ingredients cause side effects. The only concern is with Hawthorn Extract - there's been no human studies conducted. Basically, this means we don't know how effective it is, or whether it can cause any side effects. This is a disappointing product from BSN, and we expected more from a company as reputable as them. I'm not going to waste your time - I'll get straight to the point. Missing key pre workout ingredients - Pumped Edge contains more ingredients believed to promote 'heart health' than nutrients that would benefit your gym session. Contains 3 proprietary blends - BSN have hidden this pre-workout's best ingredients (L-Citrulline & Creatine Monohydrate, which are key pre workout ingredients) inside blends; this is frustrating, as they could boost your workout if dosed optimally. No Caffeine - instead of removing Caffeine completely from Pumped Edge, BSN should've simply added a low dose so you'd still experience benefits, such as improved strength, endurance, and cognition (alertness, focus, reaction time). Check Out The Best Pre-Workouts This Year!